A Powerful MS Treatment Every Sufferer Needs to Know About! 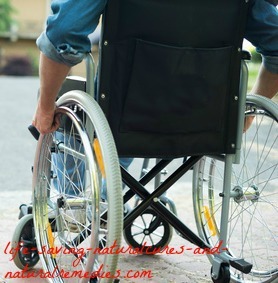 A Powerful Natural Treatment for MS Every Sufferer Needs to Know About! Multiple sclerosis (MS) is an auto-immune disease, which means the immune system mistakenly turns on itself and starts attacking its own cells. In the case of MS, the myelin sheath or insulation material that surrounds the nerve fibers is what comes under attack. Over time this insulation is worn away and the critical communication process that occurs between the nerves, brain and other parts of the body begins to falter. This can cause partial, and eventually, full loss of function and motor skills. Common symptoms of multiple sclerosis include; muscle weakness, numbness, vision loss, pain, shaking and tremors, impairment of senses, vertigo, depression, sexual dysfunction, speech problems, bladder/bowel dysfunction, cognitive problems, fatigue, and dizziness. If you or a loved one is suffering from MS, you’re going to be very glad you found this page. We have to be careful using the “cure” word (it can get us into trouble) but the truth is if you’re looking for a way to reverse and get rid of your multiple sclerosis quickly, safely, and with no horrible side effects, then this protocol is definitely it. It works extremely well and you can find the remedies you need in virtually any country in the world. They’re also not expensive, especially when you consider what MS medications cost. Interestingly, research has found that people who live near the equator rarely suffer from MS, yet this disease is high in colder climates. People who spend lots of time out in the sun are also less likely to suffer from neurodegeneration diseases such as multiple sclerosis than people who work indoors or purposely shun the sun. The common link? Vitamin D of course! There have been over a dozen studies confirming the link between multiple sclerosis and vitamin D deficiencies. In fact, a recent study showed that vitamin D may even be able to repair the nerves and myelin sheath that this disease attacks and damages. Wow! You can read more about it here… Study: Vitamin D May Repair MS Nerve Damage. "We found that daily intakes of vitamin D by adults in the range of 4,000 to 8,000 IU [international units] are needed to maintain blood levels of vitamin D metabolites in the range needed to reduce by about half the risk of several diseases -- breast cancer, colon cancer, multiple sclerosis and type 1 diabetes." For treating MS, look to take at least the maximum amount (8,000 IUs) a day. And don’t be afraid if you take more. Even 10,000 IU’s per day showed no toxicity at all in this study. So forget about the pathetic RDA of 600 IU’s of vitamin D set by the FDA. It’s a joke! You should also take the time to read more about this incredibly powerful nutrient and the REAL recommended daily allowances here… 8,000 IU’s of vitamin D Daily Necessary to Raise Blood Levels. To get your required daily amount of calcium and magnesium, forget about eating calcium and magnesium rich foods. They don’t exist anymore! Modern farming methods have now left our foods almost totally void of calcium and magnesium, so you MUST supplement. Taking coral calcium supplements is one of the best ways to receive calcium and magnesium at the correct ratio for internal assimilation, and many also come with added vitamin D (such as this one). They work a treat! Spray the oil on arms, legs, and stomach once to twice daily using 10-15 sprays per application. You’ll find it will tingle on the skin, especially the first few times you use it. This is normal and means it’s working. Leave on for at least an hour before showering. Use a natural skin moisturizer afterward. Coconut oil contains MCT’s (medium chain triglycerides) which the liver converts to substances called ketones. Ketones are basically high-energy fuel that nourish the brain. Instead of glucose being used for energy (which the brain has a hard time metabolizing) the ketones are used instead. This causes a dramatic “re-boot”, if you like, of brain cell metabolism and in turn, brain activity. And of course, whatever positively affects the brain will positively affect the body (including the nervous system). Along with Alzheimer’s and Parkinson’s disease, these doctors believe that ketones are extremely beneficial for those suffering with multiple sclerosis, Huntington's disease and Lou Gehrig's disease because they’re all similar neurodegenerative disorders, which does make logical sense. Coconut oil is completely safe to take so there’s no need to worry about any adverse effects. Two tablespoons of organic, virgin coconut oil (make sure it’s organic) consumed every day is the amount recommended by Dr Newport, and this can be increased to four tablespoons daily after a period of several weeks. Be sure to break up the dosage if you can by taking 1-2 tablespoons in the morning and 1-2 tablespoons at night. Coconut oil can easily be consumed by mixing it in a smoothie, or your cereal (such as a bowl of oatmeal), or even eating it straight off the spoon! It doesn’t really matter how as long as you have it every day. In addition to coconut oil, it’s also a good idea to take a high strength krill oil supplement. Krill oil contains rich amounts of omega-3 fatty acids and is an extremely potent anti-inflammatory (inflammation in the body exacerbates MS symptoms). And as an added extra, krill oil also contains the powerful astaxanthin antioxidant, which helps support brain and nervous system function! For dosages, take the highest recommended daily amount listed on the bottle (at least 2,000 mg’s a day). If you’re interested, this brand of krill oil is one of the best. Apple cider vinegar is a potent antiviral and anti-bacterial food that helps control the infections thought to trigger MS symptoms. ACV is also rich in potassium, calcium, magnesium, phosphorus and manganese, which are all important for the health of the brain and nervous system. A potassium deficiency in particular can contribute to the poor muscle function and fatigue associated with multiple sclerosis. In fact, health and wellness legend and ACV expert, Paul Bragg, says in his terrific “Apple Cider Vinegar Miracle Health System” book that a potassium deficiency is a leading cause of multiple sclerosis, as well as other diseases including arthritis, celiac disease, high blood pressure, ulcerative colitis, Alzheimer’s disease, diabetes, Crohn’s disease, and hypothyroidism. When potassium is taken daily (apple cider vinegar being the best source) it relieves muscle fatigue and normalizes muscle function. This is of course what all MS sufferers want. It’s important to remember that apple cider vinegar is only beneficial when it’s unprocessed and still contains the “mother” apple (it will tell you on the bottle). This is absolutely crucial. Processed ACV’s of any kind will not work and don’t contain the essential nutrients your body needs. Organic liquid apple cider vinegar should be taken at the rate of one tablespoon mixed in a glass of warm filtered water and drank twice daily on an empty stomach. You can also add a teaspoon of local or manuka honey for extra healing benefit and taste. First thing in the morning and last thing at night are considered ideal times. And if you find the liquid ACV difficult to take (it can be a bit of an acquired taste) then simply substitute this for the apple cider vinegar capsules. These are easier to take and work just as well. Here’s some of the top organic ACV liquids and capsules on the market… Best Apple Cider Vinegar Liquids and Capsules. This stunning “Super Food” is a very powerful detoxifier, heavy metal remover and immune booster. Another known cause of MS is heavy metal toxicity. When heavy metals such as mercury, lead, aluminium, cadmium and arsenic accumulate in the body they cause an overproduction of harmful free radicals. These free radicals break down and damage the nerves protective layer (myelin sheath), resulting in diseases such as multiple sclerosis and lupus. 6 Mercury, aluminium and lead can also cross the blood/brain barrier, producing a wide variety of health problems and symptoms including fatigue, blurred vision, unsteadiness, hearing loss, tiredness, tingling skin, impaired smell or taste, insomnia, loss of appetite, depression, short-term memory loss, tremors, muscle weakness, and headaches. If you’re an MS sufferer, you’ll see that all of these symptoms of heavy metal toxicity are exactly the same as the symptoms of multiple sclerosis! Here’s one documented case where an MS patient was able to drastically improve his symptoms through a heavy metal detox… A Case of Multiple Sclerosis Improvement Following Removal of Heavy Metal Intoxication. 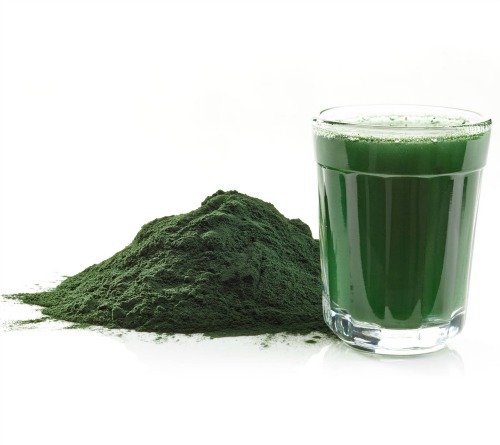 The best way to flush (chelate) these toxic heavy metals out of the body is with the green algae known as chlorella. Chlorella is considered the ultimate chelator – and it’s perfectly safe to take. It’s also an exceptional gut healer, especially when combined with probiotics (see next MS remedy). 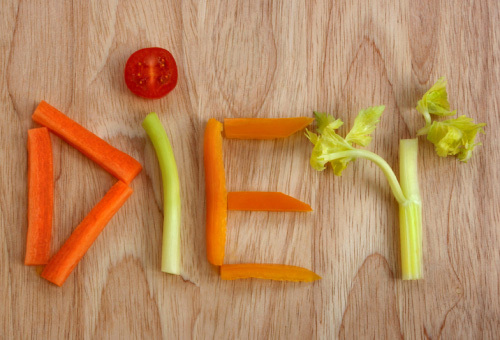 So start taking this amazing wonder food as soon as you can. The difference it will make to your health and well-being (and MS symptoms) really will astonish you! Premium quality chlorella can be bought from most good health food stores or ordered online. For specific directions and daily amounts, follow the advice and dosages listed on the container. Like I said at the beginning, multiple sclerosis is primarily an immune malfunctioning disorder whereby the immune system goes on a rampage and starts to attack healthy cells. Immune response is also severely lowered in the process (hence why MS sufferers regularly get sick and usually catch most viruses and illnesses going around). Now what’s interesting is that 70-80% of your immune system is actually located in your gut! So to boost your immune system and get it working properly again you have to get your gut working properly again. A. You must take a high quality probiotic supplement: This is critical. A probiotic supplement is the easiest and guaranteed way to get the different strains of live bacteria your gut needs. Make sure you only purchase a quality probiotic supplement and not one of the cheaper brands. They’re cheap for a reason. The bacterial strains contained in these products don’t make it deep into the gut where they need to go. Chlorella is also an excellent food source (prebiotic) for your healthy gut bacteria so be sure to take your probiotics with your chlorella. B. Start culturing and fermenting your own “probiotic rich” foods: Culturing your own probiotic rich foods including sauerkraut, kefir, kombucha, cultured vegetables, and yogurt, is an extra powerful way to boost your good gut bacteria, for very little cost. Remember this important fact… you can never overdose on probiotics and you can never have too many. Ever!! In fact, the more the better! The great thing about fermented foods is they contain high probiotic strains and lots of different varieties, so the spread is really good. And they’re also very easy to prepare (once you get the hang of it). Here’s a terrific website that explains all the tips and tricks, along with some great recipes so you can start culturing your own foods straight away… Cultures for Health. Finally, and this is the most important part. You must continue to replenish the supply of healthy gut bacteria every day - for the rest of your life! Good gut bacteria have a high turnover rate. That’s just the way it is. You need to think of probiotics as essential to your body’s survival, just like food, water and air. Because in a sense, they are! The major problem we have today is our modern day farming methods have now left our foods virtually “null and void” of the essential minerals and vitamins we need (you can read more about this shocking catastrophe here). This is where plant based colloidal minerals come in. These liquids contain all the essential minerals and trace minerals our bodies need (a massive 60 in total), along with essential vitamins, amino acids and fatty acids. 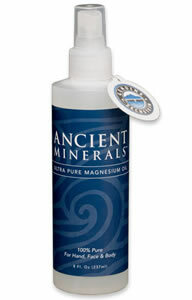 Liquid mineral supplements are actually the oldest and most trusted nutritional supplement commercially sold in the U.S. The reason? They work! Just make sure the colloidal minerals you buy are organic, plant based colloidal minerals and not the cheaper clay versions. Colloidal silver is regarded as nature’s most potent antibiotic. 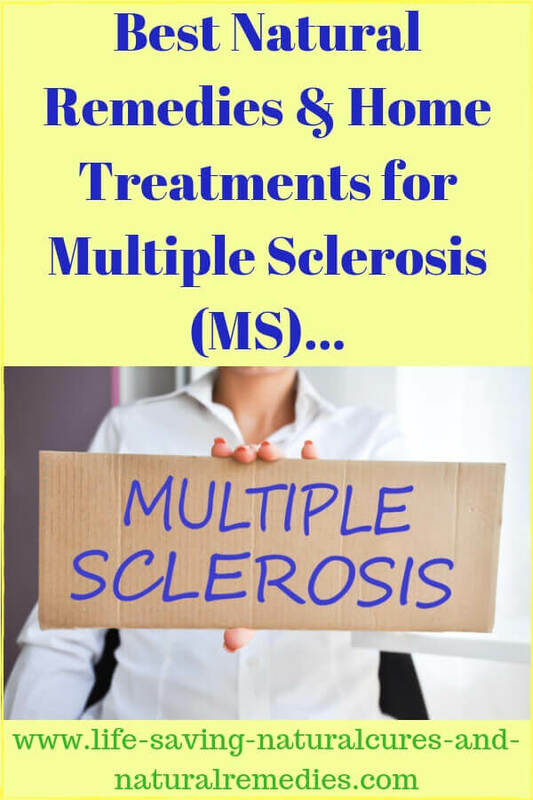 Because an initial trigger of MS and its symptoms is thought to be caused by a bacterial or viral infection, cleansing the body and killing off any infections that you may have unknowingly lurking or hiding inside of you is a good idea. And what’s more, many viruses such as the herpes virus, Epstein-Barr, meningitis and measles, are very good at invading and hiding in the central nervous system (these pathogens can all be precursors to MS as well). 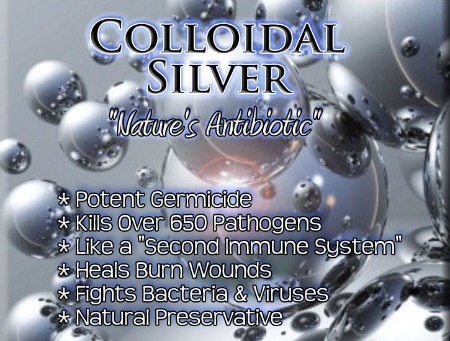 Colloidal silver destroys bacterial and viral infections by surrounding the pathogen so it can’t continue to grow and replicate, essentially starving it to death. Colloidal silver also enhances the immune system to effectively help get it back to optimal working order. Colloidal silver can be bought from virtually any health food store or online. It’s extremely popular because of its superior effectiveness on any virus or foreign pathogen. Just make sure you go with “pure colloidal silver” and not ionic (there is a big difference). If you’re not sure, here’s the strongest and most reputable colloidal silver on the market… Bio-Active Sovereign Silver. For dosages, take one teaspoon of pure colloidal silver mixed in a glass of filtered water 3 times daily for 3 months. After this, take one teaspoon twice daily for a further 3 months. Inflammation has been found to be a key factor in the initial development and exacerbation of neurodegeneration diseases including multiple sclerosis. During an MS attack, inflammation also occurs in specific areas of the central nervous system. Turmeric, cinnamon, ginger and cayenne pepper are all powerful anti-inflammatories. Tumeric in particular has even been shown to regenerate brain cells. They also give the immune system a powerful boost. So be sure to supplement with these herbs and spices and use them in your cooking as much as possible. You can also make a delicious tasting turmeric tea using these ingredients to drink every day. Here’s an easy recipe to follow… Turmeric Tea Golden Milk Recipe. You can find coenzyme Q10 in most health food stores and chemists (drug stores) or online. Be sure to take the correct dosage of 500 mg’s a day in accordance with the study. Refined and Processed Foods - Refined and processed foods are littered with artificial additives and chemicals that intoxicate the cells and impede immune system function. So these must be avoided at all costs. Refined sugar is one of the worst as it severely lowers immunity, causes inflammation, and feeds the growth of bad bacteria in the gut. Hydrogenated Oils and Margarine - Clear bottled oils that you see sitting on the shelves in supermarkets (canola oil, Crisco, etc), along with margarine are incredibly toxic. They contain deadly trans fatty acids, free radicals and toxic rancid fats (no matter what they happen to say on the label). These fats damage brain cells, interfere with nerve impulses and production, and damage the myelin sheath. They are a major cause of neurodegeneration diseases such as MS so do not touch these oils or fats with a ten foot pole!! Use coconut oil or organic extra virgin olive oil for cooking (only purchased from health food stores not supermarkets) and use avocado or hummus as a spread instead of margarine. Also avoid any products that have hydrogenated or partially hydrogenated oils or shortening listed as ingredients. Aspartame and MSG – The artificial sweetener aspartame, along with the food additive MSG, are dangerous “excitotoxins” that overstimulate the neural cells to the point of exhaustion and eventual death. Neurological expert and author Dr Russell Blaylock lists MS as one of the top diseases caused by the ingestion of these harmful neurotoxins. Never consume foods that contain MSG (flavor enhancer 621) or any diet drinks or diet foods that go under the name of NutraSweet, Equal, Spoonful, Equal-Measure or artificial sweeteners 951 or 950. You can read more about the neurological dangers of these excitotoxins here… Aspartame: By Far the Most Dangerous Substance Added to Most Foods Today. Pasteurized Milk and Dairy – Studies have found a common link between the development of MS and other neurodegeneration diseases such as Alzheimer’s and Parkinson’s disease, and consumption of processed dairy. You can avoid these by going for alternatives such as coconut milk or almond milk, along with dairy free Paleo cheeses (see below for more on the Paleo eating plan). Alcohol - Alcohol contains sugar and other substances that produce inflammation in the body and kill off good gut bacteria. Alcohol also aggravates and inflames the nerves so this is a definite no go for MS sufferers. Gluten - Gluten can make MS symptoms worse and sufferers generally have a sensitivity to gluten anyway, so it’s best to try and avoid this too if you can. Fresh Fruits and Veggies (Raw Foods) – These are the standard “must eat” foods for anyone really, not just someone suffering with MS. Cabbage and bean sprouts in particular are excellent as they contain lecithin, which helps strengthen the nerves. Sushi (seaweed) is also rich in iodine for brain and nerve health. Green veggies are high in B group vitamins and folic acid. Just remember to eat your fruits and vegetables raw if possible, or at the very least, with a minimum amount of cooking. Flax Seeds, Chia Seeds, Hemp Seeds, Pumpkin Seeds, and Sesame Seeds – All of these seeds are terrific for brain health and the health of the nervous system. Be sure to mix them in your morning cereal or even just eat them straight out of the packet! Cold Water Fatty Fish – Cold water fatty fish such as salmon, herring, mackerel, tuna and sardines are rich in omega-3 essential fatty acids. As you’ll remember from our MS remedy #4, EFA’s are crucial for healthy brain and nerve function. Try and eat some cold water fatty fish at least 3 times a week. Eggs – Eggs are a powerhouse source of the essential nutrients and healthy fats your body needs. And yes they contain cholesterol, but your brain and nervous system need this important nutrient as well! (The myelin sheath is actually made up of 27% cholesterol). Be sure to eat at least two eggs every day cooked anyway you like. Mercury Dental Fillings and Root Canals – A dentist in Colorado by the name of Dr Hal Huggins has treated thousands of MS suffers and has an astonishing cure rate of up to 85%! He says that mercury fillings and root canals are the main culprit. The toxic bacteria from root canals, along with mercury filter directly into the blood stream and poison the body. We already know how bad mercury is for causing MS and its related symptoms, but root canals are actually one of the little-known causes the medical profession is completely unaware of. If you have mercury fillings and root canals then the safe removal of these is paramount to successfully treating and reversing your MS. Have a read of this crucial article for more on this… Multiple Sclerosis Causes and Treatments. Oil pulling – Oil pulling is an ancient Ayurvedic remedy that not only removes harmful toxins, bacteria and viruses from the mouth, it also removes toxins from the body via the lymphatic system. It’s a very powerful (and easy) way to cleanse your entire system for very little cost. It involves placing two teaspoons of oil, such as coconut oil, in your mouth and “swishing” it around for 20 minutes (being careful not to swallow any) before spitting out. This practice is best performed first thing in the morning upon awakening (on an empty stomach). Here’s exactly why you should be doing oil pulling if you have MS, and especially if you have any mercury fillings or root canals… The Benefits of Oil Pulling. Vitamin B12, Folic Acid and Iodine – All of these are necessary for nerve and brain health. Eat plenty of foods that are rich in these vital nutrients (see “MS Foods to Eat” above) and even consider taking supplements if need be. Light to Moderate Exercise - Once your symptoms start to improve and your mobility returns, begin doing some light to moderate exercise. Be sure to start off slow and keep it simple. A brisk walk or bike ride is sufficient. Further down the track you could look at doing some weight training, which is excellent for building up muscle and nerve strength. Meditation and Yoga - Being able to relax and reduce stress is crucial for MS recovery. Both meditation and yoga have been found to be effective for not just reducing stress, but also reducing the symptoms of diseases such as MS. Finding yourself a good meditation or yoga class where you feel comfortable is vital. And if you're a little apprehensive to go on your own, try convincing a friend or your partner to go with you. It will be good for them too! So don’t buy into the whole genetics thing. You now have everything you need to take control and beat your MS. But remember, information is useless unless it’s acted upon. “Dedicated action” is what’s needed for this to work. It’s in your hands now.